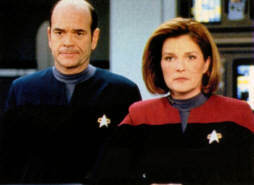 Time has trekked on, but Kate Mulgrew still struggles to bring Voyager home. What a long, strange journey it has been. 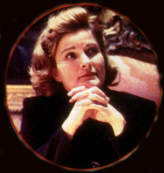 But Star Trek: Voyager's Captain Kathryn Janeway (Kate Mulgrew) still sets the course in season six. Morale officer. Mulgrew appreciates the dynamic she shares with cast. "There's a confidence there in all the relationships," she says, "and a trust." Doctoring scripts. 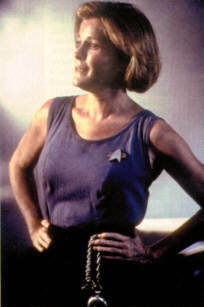 Mulgrew is happy to let the writers dictate Janeway's motivations-mostly, but she notes that "I am very careful about command." Season six outings like "Barge of the Dead" dazzled Mulgrew with their cinematic detail. "Every episode so far has been like a mini-movie," she notes. Stepping out of uniform? 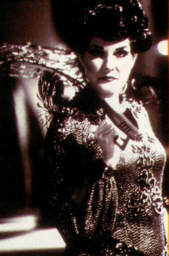 Janeway has done it several times, for instance-as Queen Arachnia, "Bride of Chaotica." "If they intend to bring us home at the season's end, it will be made clear that we are going home." 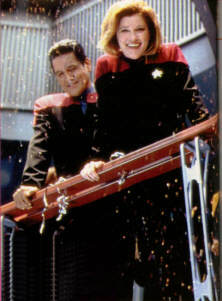 After five years, you bet this is a rougher, tougher Janeway. But her mission hasn't changed: She'll get Voyager and her crew home. It took a lot of soul searching for Mulgrew to consider abandoning ship. Fortunately, talks with producers ironed out any issues. "I have created Kathryn Janeway as much as they have." Star Trekkers at ease. This Voyager cast shot proves that black is anything but basic.